Dennis Cooper's sparely crafted novels have earned him an international reputation-even as his subject matter has made him a controversial figure. 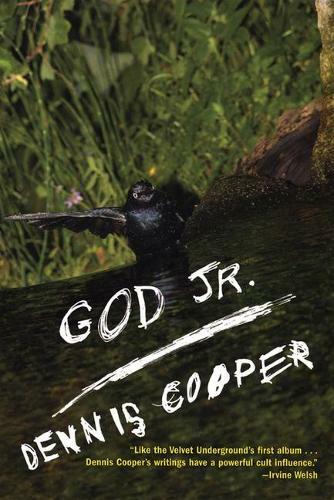 God Jr. is a stunningly accomplished new novel that marks a new phase in Cooper's noteworthy career. God Jr. is the story of Jim, a father who survived the car crash that killed his teenage son Tommy. Tommy was distant, transfixed by video games and pop culture, and a mystery to the man who raised him. Now, disabled by the accident, yearning somehow to absolve his own guilt over the crash, Jim becomes obsessed with a mysterious building Tommy drew repetitively in a notebook before he died. As the fixation grows, Jim starts to take on elements of his son-at the expense of his job and marriage-but is he connecting with who Tommy truly was? A tender, wrenching look at guilt, grief, and the tenuous bonds of family, God Jr. is unlike anything Dennis Cooper has yet written. It is a triumphant achievement from one of our finest writers.